At total of 217,971 people in Turkey have been detained over their links to the Gulen movement so far, Turkey’s Interior Minister Suleyman Soylu said Thursday. “62,730 (police) operations have been made against Gulenists as of today. …As a result of these operations, 217,971 people were detained,” Soylu told Parliament. He also added 16,684 people were convicted of Gulen links and another 14,758 people are currently behind bars pending trial over similar accusations. Turkey survived a military coup attempt on July 15 that killed over 240 people and wounded more than a thousand others. Already increasingly-authoritarian Turkish government has leveled up its crackdown against its critics since then with broad interpretation of its anti-terror laws. Gulenists, blamed for the coup despite their denial of involvement, became to the primary target of the crackdown. State-run Anadolu news agency said the number of people who were investigated over their alleged ties to the Gulen movement has hit 402,000 as of March, 2018. 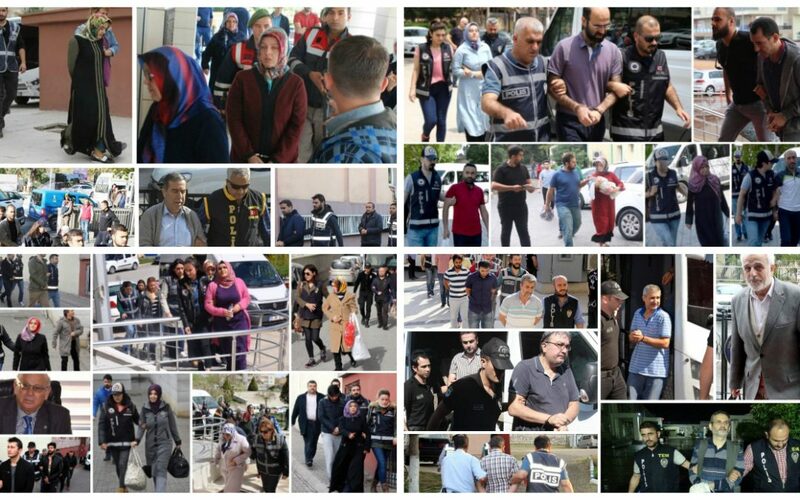 More than 150,000 people have lost their jobs, some 150,000 have passed through police custody and 60,000 were put in pretrial detention as part of post-coup crackdown against alleged Gulenists.